Daisy is located in the Navajo Nation Capital of Window Rock, AZ. We are now located in Farmington, NM at 1113 Schofield Lane. Our family has two (2) certified Master Florists and combined they have over 25 years combined of experience in floral design, art, and sales. The family is currently training as future floral designers, business managers and business owners. 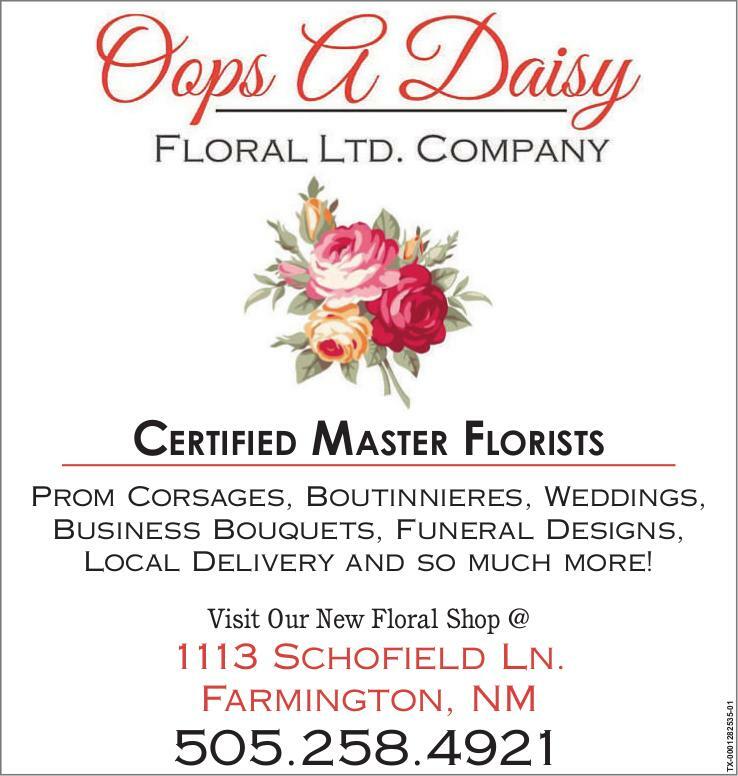 Oops A Daisy Ltd. Company is a family owned company and was established to serve as professional florists .